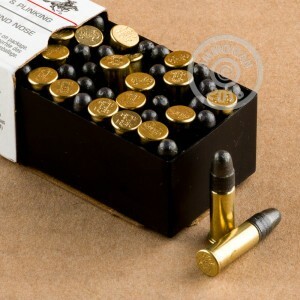 You can never have too many friends or too much inexpensive .22 LR ammo to plink with. 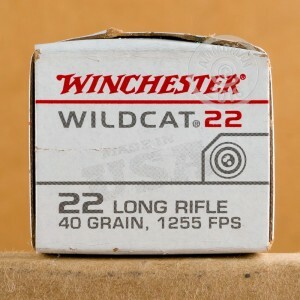 These rimfire cartridges are manufactured by Winchester, an old American favorite with plenty of achievements in small arms engineering and caliber invention to their name. Winchester builds this ammo using domestically sourced materials which are formed and formulated within their own manufacturing plants. Some ingredients include clean-burning powder and non-corrosive ignition mixtures which are contained within a brass casing. At the head of this .22 Long Rifle round is a Lead Round Nose (LRN) projectile which features a large midsection that presents excellent surface area to a barrel's rifling for stunning stability and startling accuracy. The LRN's curved profile allows it to feed reliable in semi-automatic and bolt-action guns while a thin coat of lubrication cuts down on lead fouling in order to preserve precision. With a projectile weight of 40 grains, these loads will produce manageable recoil along with unmanageable smiles as you lay waste to tin cans, soda bottles, and paper bullseyes.